The year of the Pig got off to a rocky start for Sino-Australian relations. On 5 February we learned that Huang Xiangmo, a wealthy property developer, had had his application for Australian citizenship turned down and his permanent residency status revoked while visiting Hong Kong. Huang had come to the attention of the security agencies due to his ties with the United Front Work Department and his conspicuous efforts to influence Australian domestic politics. The decision came shortly after Australian author Yang Hengjun was detained by the Chinese authorities in Guangzhou. In 2017 the Sino-Australian relationship experienced its most difficult period since at least 1989. In several speeches senior politicians were directly critical of the behaviour of the People’s Republic of China (PRC). 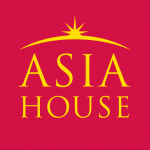 The Australian Minister for Foreign Affairs, Julie Bishop, argued that China would not be able to reach its potential until it embraced democracy, while at the Shangri-La Dialogue Prime Minister Malcolm Turnbull subtly but unambiguously criticised the country for bullying the lesser states of Southeast Asia. Journalists reported, often in sensationalist terms, on efforts to exert political influence, and the security agencies were surprisingly public in voicing their concerns about the PRC’s activities in Australia. By 2018, with ministerial visits blocked, the annual meeting between the Australian prime minister and the Chinese premier stalled, and some economic aspects of the relationship beginning to suffer – most obviously investment – the Australian government recognised the need to seek an improvement in its ties with China. Yang’s arrest (just a day before the start of the first visit to China by the Australian Minister for Defence in over a year) and Huang’s residency revocation both cast a shadow over the efforts to re-set the relationship and reflected deeper tensions in Sino-Australian relations. 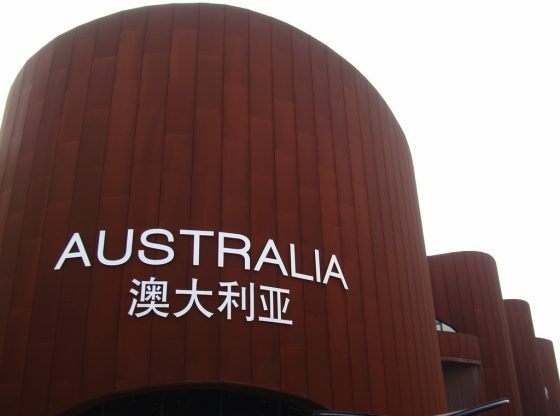 Since the late 1990s, when Australian Prime Minister John Howard first realised the extent, depth and importance of Chinese economic reforms during a visit to Shanghai, the country has approached its relationship with the PRC with a kind of foreign policy compartmentalisation. The two countries preferred to focus on economic matters and wall those off from complex political and security issues such as concerns about human rights and Australia’s alliance with the United States. For several decades this approach worked well, travelling under the somewhat disingenuous tag-line that Australia ‘didn’t have to choose between Washington and Beijing’. But the artificial separation of the economy from political and strategic matters was only ever going to work over the short run. As economic ties became more complex, as China and Australia became more economically intertwined and, crucially, as China became prosperous enough to be able to realise its longer-term strategic ambitions, compartmentalisation was unsustainable. In debates over the Asian Infrastructure Investment Bank (AIIB) and more recently over the Belt and Road Initiative (BRI), the limits of trying to keep a wall between economic issues and everything else became painfully visible. In regard to AIIB, the government of Tony Abbot was publicly divided, with the Treasurer and trade ministers arguing for Australia to join while those with a security brief arguing that the country should stay out. The decision to join came late, and only after the participation of the UK and a slew of other American allies made the security objections moot. BRI, with its multidimensional nature, attracted a similarly uncertain government response. Those with a security interest focused on the strategic risks while those with an economic perspective were attracted by the vast investment and connectivity opportunities the programme promises. In 2017, however, the uncertainty created by an essentially outdated approach to the PRC seemed to come to an end as the government of Malcolm Turnbull signalled a hardening of attitudes. Government policy appeared to coalesce around the view that China’s foreign and strategic policy was destabilising the region. From its actions in the South China Sea to its efforts to interfere in the domestic politics of key countries, the Australian government had become increasingly wary of China. The problem was that it had not yet found the right balance between its public rhetoric and substantive policy. 2018 was thus the year of recalibration; toning down the at times overly sharp rhetoric and looking for policy areas where Australia could take some steps without needlessly inflaming relations. The PRC, after all, remains the country’s top trading partner by a considerable margin. The growing rift between the US and China helped in this effort. As Sino-American relations heated up, inflamed both by the trade spat and by Vice President Mike Pence’s speech at the Hudson Institute in October 2018, Beijing began to focus its foreign policy energies more on its great power rival and therefore wanted to clear the decks of minor irritations. This allowed space for Australia to improve relations with China that would otherwise have proven difficult to move forward. In terms of policy, the two new areas in which activity has been most notable are in relation to domestic interference and the South Pacific. Huang’s treatment is only the most visible indication of a much more concerted effort by the government to limit China’s ability to influence events within the country. Similarly, while Australia was late to recognise how far the PRC had moved to improve its ties to the South Pacific, in recent months Australia’s Pacific ‘step up’ is plainly intended to see off the Chinese challenge in a region that had hitherto been assumed to be Australia’s patch. But uncertainty in Australia’s China policy remains. The country is genuinely unsure about how to handle its relationship with an increasingly assertive authoritarian power that remains crucial to so many sectors of the Australian economy. While many blithely say that Australia should just diversify its trade partners, the reality is that many sectors cannot do without China. Decoupling is not an option. The biggest challenge, however, lies at the macro level. Australia wants an economically integrated Asia in which the military balance remains stable and organised around American primacy. The problem is that the US no longer wants the former and the PRC does not want the latter. How Australia can achieve that longer-term aim given its limited resources and dependence on both great powers will be the defining feature of Australian international policy in the twenty-first century. Professor Nick Bisley is Head of the School of Humanities and Social Sciences and Professor of International Relations at La Trobe University, Australia. Image Credit: CC by bpinzini/Flickr.